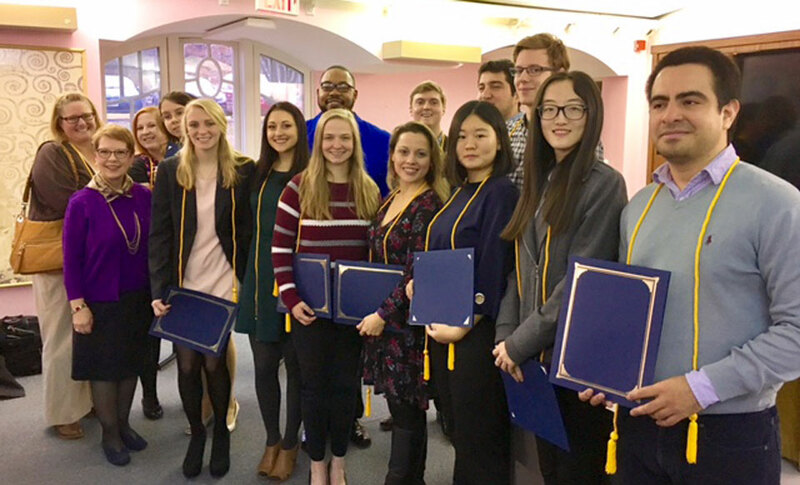 On Dec. 11, 18 students were inducted as founding members into the honor society for international studies, Sigma Iota Rho (SIR), at a ceremony held in the H. Sam Priest House for International Studies. In October, Webster University was authorized to establish the Eta Alpha chapter on campus. Students, faculty, family and friends were joined by President Elizabeth (Beth) J. Stroble to celebrate the formal launch of the new chapter. In order to qualify for membership, students must have attained junior standing with at least a 3.3 GPA and have completed at least 21 hours of international relations course work. These students represent some of the best international studies students at Webster. The new members have set the goals of establishing a truly global chapter by recruiting and inducting qualified students from Webster University's global network of campuses and organizing campus and community events. 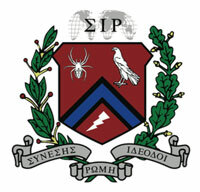 Sigma Iota Rho was founded inn 1983 by William Olson, the dean of the School of International Service at American University in Washington, D.C. At this time, no organization was available to honor the achievements and outstanding academic records of international studies students. The central mission of SIR is "to promote and reward scholarship and service among students and practitioners of international studies, international affairs and global studies and to foster integrity and creative performance in the conduct of world affairs." Now, there are over 140 chapters at colleges and universities in the United States and abroad.